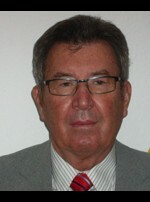 Dr. Ulf von Krause was born in 1944. He served from 1963 to 2005 in the Bundeswehr and retired as a Lieutenant General. 1972-1977 he studied economics and management at the universities in Bonn and Cologne, Germany, and published occasionally in the area of military economics. After retirement, he studied political sciences at the Distance Teaching University in Hagen, Germany. Before writing his Afghanistan analysis he published a book titled “Mehrebenengovernance in der EU – Deutsche Mitwirkung an der Rechtsetzung” (Multi Level Governance in the EU – German Participation in Legislation”.